Join The Water Shed crew! We get to work with nature on a daily basis. You’ll find everything you need At The Water Shed to build or maintain a pond, bubbling rock, pond-less waterfall, or other water feature. Let the professional technicians at The Water Shed help you maintain a healthy, clean water feature by choosing just the right products. Mag Drive Pumps. The Danner Pondmaster Pond Mag series feature a magnet impeller assembly and an epoxy encased power unit to ensure that water never gets contaminated with harmful oils or chemicals. 5 year warranty on the body and 1 year warranty on the impeller. The replaceable impeller makes this pump series last much longer for extra value. Waterfall Pumps. The Pro-Line Hy-Drive series design combines the benefits of magnetic and direct drive technologies to deliver great performance and high efficiency in an extremely quiet, low maintenance package. Mag Drive Pumps. The PondMAX Pond & Fountain pumps are high quality pumps with ceramic shafts for long-lasting, hassle free operation and have built-in flow adjustment. Waterfall Pumps. The PondMAX EP series of waterfall/filtration pumps feature a large shell to prevent clogging. These pumps will deliver high performance for filter systems and waterfalls with low power consumption. Comes with Vortec impeller design & wear-resistant ceramic bearings. Fountain Basins. The Aquascape 30 and 45 inch basins are designed to provide a trouble-free installation for a wide variety of decorative water features. They provide easy access to the pump and hold 500 and 1500 pounds respectively. Fountain Kits. 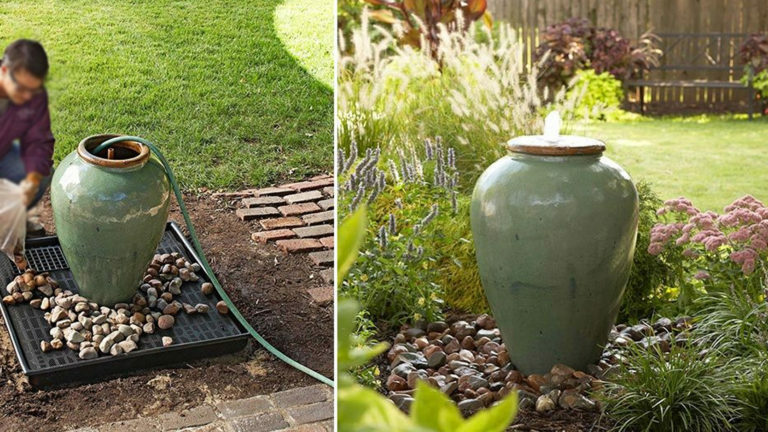 Our pre-packaged fountain kits include a vase, the pump and a basin for an easy DIY install. Available upgrades include a larger basin and a solar pump. Submersible Lights. PondMax pond/garden lights are available in warm white and multi-color. They can be used underwater or out. 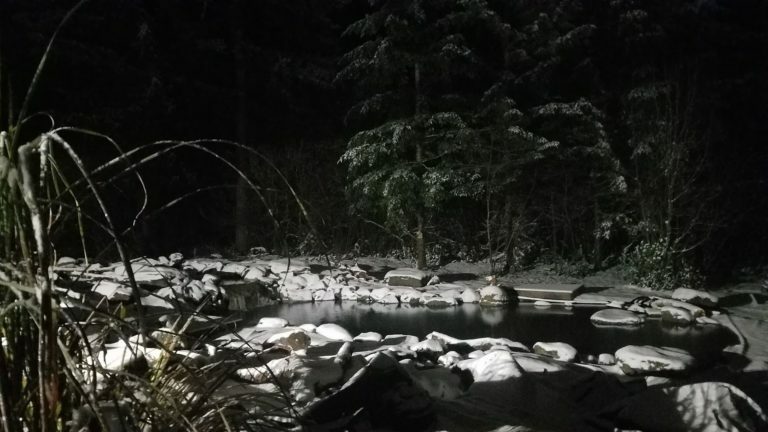 We stock everything you need to light up your pond or water feature with LED low voltage lights. Mechanical and Bio Filters. The PondMax line of pressurized filters use mechanical filtration as well as bio-filtration to keep your pond clean and clear. The built-in UV light will also kill single-cell algae. Use the convenient handle on the lid during a back-flush to apply pressure on the filter sponges for cleaning without taking anything apart. Hai Feng Fish Food. We proudly sell Hai Feng fish food for koi. Hai Feng’s special quality control process guarantees only top quality koi food. Special digestive enzymes contained in this product can minimize water pollution caused by fish waste. Hai Feng koi food contains vitamins B, C, and digestive enzymes that help to keep your fish healthy. Hai Feng koi food also contains meat & vegetable protein, organic minerals, and wheat germ, which can be easily absorbed and utilized. Laguna Nets. Laguna nets are available in a variety of sizes and shapes. Many styles have slip-resistant handles and extendable shafts to adjust the reach of the net. The soft net meshing is resistant to tears and will not harm the fish. Loki Nets. Loki’s exclusive Monorail bow design fully protects the netting from abrasion, and its smooth, rounded contours are pond liner friendly. The netting is 100% Knotless DuPont nylon. With their shallow bags and fine mesh, these nets will handle fish, scoop out debris, remove bottom sludge and skim the surface; the ideal all-around pond net! Dalen Pond Netting. Keeps falling leaves out of ponds and pools, and protects goldfish and Koi from cats and other predators. Protective polypropylene floating net with UV inhibitors has small 3/8″ mesh size stops even the smallest debris. Koi Fish. Traditional pond fish that grows its entire lifetime. Beautiful, graceful creatures available in traditional and butterfly varieties. The butterfly koi have a fancy set of fins that seem to flow as the fish swims. Goldfish. Shubunkin goldfish look like fancy koi but are much easier to care for as they create less waste and are limited in growth size. Grows 12″-18″ at full maturity. Plants. Our aquatic nursery features plants that grow on or in the water. During the Spring, Summer and Autumn we carry the prettiest flowers, grasses and floating plants. Check out a list of plants and care suggestions in our PLANT BLOG. Treatment for Lice and Anchor Worms. MICROBE-LIFT/Lice & Anchor Worm is the most effective treatment for diseases of fish caused by lice and anchor worms. When used as directed, MICROBE-LIFT/Lice & Anchor Worm will not harm biological filtration and may be used on scaleless fish. Treatment for Diseases. MICROBE-LIFT/Broad Spectrum Disease Treatment is the safest and most effective treatment for the control of diseases caused by Ichthyophthirius (Ich), Costia, Trichodina, Chilodonella, Oodinium and fungal infections. PH Decreaser. Microbe-Lift’s PH Decrease safely lowers pH levels and is not harmful to aquatic life and plants. PH Decrease combines two pH adjusters for buffered effectiveness, three electrolytes to help maintain osmotic balance, and one slime coat ingredient for skin protection and stress reduction. PH Increaser. Microbe-Lift’s PH Increase safely raises pH levels and is not harmful to aquatic life and plants. PH Increase combines two pH adjusters for buffered effectiveness, three electrolytes to help maintain osmotic balance, and one slime coat ingredient for skin protection and stress reduction. PH Buffer Stabilizer. Safely BUFFERS pH levels & prevents wide pH swings. Includes 2 pH buffers for gentle effectiveness and 3 electrolytes to help maintain osmotic balance. Provides necessary alkalinity for nitrification. Specially formulated to control fish toxicity which may arise from overdosing. Not harmful to fish or plants. Treatment for Bacterial Infections. Melafix is an all-natural treatment, containing an extract of the tea tree, Melaleuca cajeputi. Treats bacterial infections – open wounds and abrasions, fin and tail rot, cloudy eye, mouth ‘fungus’ – and promotes regrowth of damaged fin rays and tissue. Safe for fish, pets and wildlife. Treatment for Fungal Infections. Pimafix is an all-natural anti-fungal (anti-mycotic) treatment, containing an extract of Pimenta racemosa (the West Indian Bay tree). All-natural formula rapidly treats fungal infections on body and fins of pond fish. Also treats internal and external bacterial infections. Pimafix has been formulated to work in combination with Melafix to enhance effectiveness against fish diseases. Treats fungal fish infections on the body and fins. Safe for fish, pets and wildlife. Positive Bacteria. Microbe-Lift PL (Pond & Lagoon) is a water treatment that uses living microbes to eat decaying organic matter in your pond such as dead algae and fish waste. It also helps to convert ammonia and nitrites safely into plant food. The microbes colonize on the surface areas of your pond to keep the water clean, clear and visible. Pond Dye. Microbe-Lift Bio-Blue and Bio-Black will dye your pond water an opaque color to help block the sunshine from feeding into the algae. It is also used to make a reflecting pond. Pond Defoamer. Microbe-Lift Pond Defoamer gets rid of unsightly foam fast, leaving pond water clean and clear. Persistent foaming can indicate a heavy concentration of undissolved organics. Partial water changes can improve water quality which will help reduce foaming. Mosquito Control. Mosquito Dunks are a biological mosquito control. They contain Bti, a natural mosquito larvicide, which kills mosquito larvae, but is harmless to birds, fish, wildlife, and pets. Simply place a Dunk in any standing water to control mosquito larvae for up to 30 days. Polishing AC. Activated carbon can be considered another layer of filtration media, turning the normal 2-stage (biological & mechanical) process into an expanded 3-stage filtration process. Fish Safe Algae Control. Algaway 5.4 is formulated to kill off string and blanket algae but not be harmful to the fish. It kills string and blanket algae using Poly(oxyethylene) (dimethylimino) ethylene (dimethylimino) ethylene dichloride. Use Algaway 5.4 combined with Microbe-Lift PL to kill and then eat the algae. Safe for use with all plants. Fish Safe Algae Control. Algaefix is safe for fish when dosed correctly. It kills string and blanket algae using Poly(oxyethylene) (dimethylimino) ethylene (dimethylimino) ethylene dichloride. Use Algaefix combined with Microbe-Lift PL to kill and then eat the algae. Safe for use with all plants. Time Release Tablets . Tetra Pond Blocks use copper sulfate to kill algae on a 30 day time release and controls the algae in a 250 gallon or smaller pond or water feature. Safe for use with most plants but not lilies and floating plants like hyacinth and lettuce. Spot Treatment Powder. Bio-Safe Green Clean uses the power of oxidation to break down algae cells on contact. Formulated without the use of harsh chemicals or chlorine so there won’t be any negative effects to the aquatic ecosystem. Use on creek beds and waterfalls to spot treat the string and blanket algae. Large Pond/Lake Treatments. DWI F-30 algaecide controls all types of algae including planktonic, filamentous, hydrilla, chara and nitella. Does not leave behind sediment, toxins or pollutants. Not for use with spring-fed ponds or ponds with overflow/drainage into natural waterways. One gallon treats approximately 326,000 gallons of water. 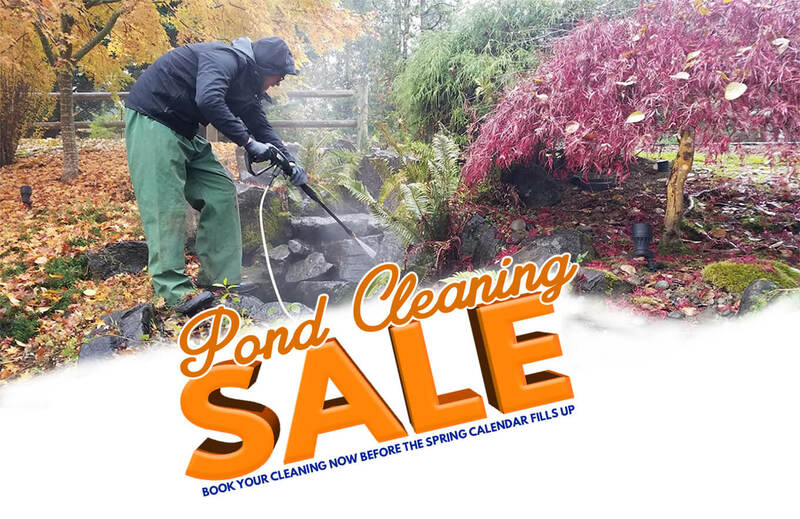 The Water Shed is your number one resource in Vancouver for water plants for ponds and water gardens. We carry several varieties of water lilies, marginal plants, and floating plants like water lettuce and floating hyacinth. Click here to see a list of plants that we either currently stock or have sold in the past for care instructions.